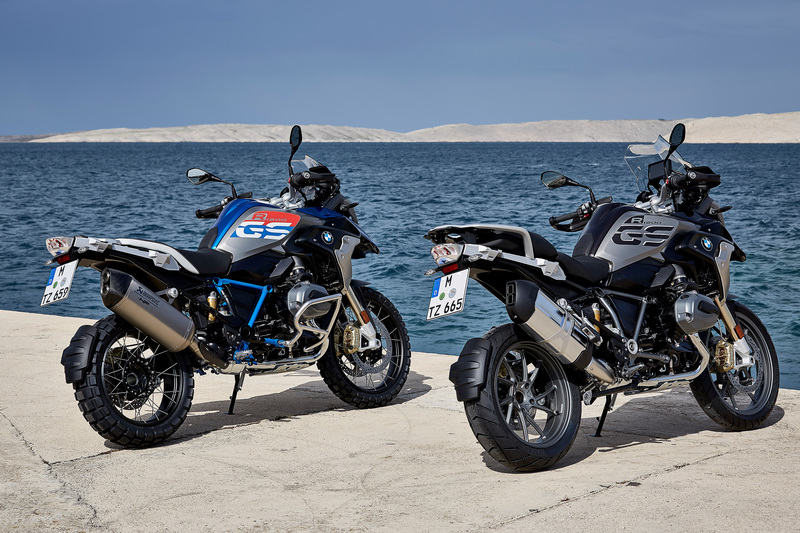 The combination of touring and long distance suitability, the outstanding dynamic with a great Boxer engine and the ambitious off-road capability - that's what the R1200GS stands for. It is a bestseller in the product range of BMW Motorrad and has now been brought to perfection down to the smallest detail. 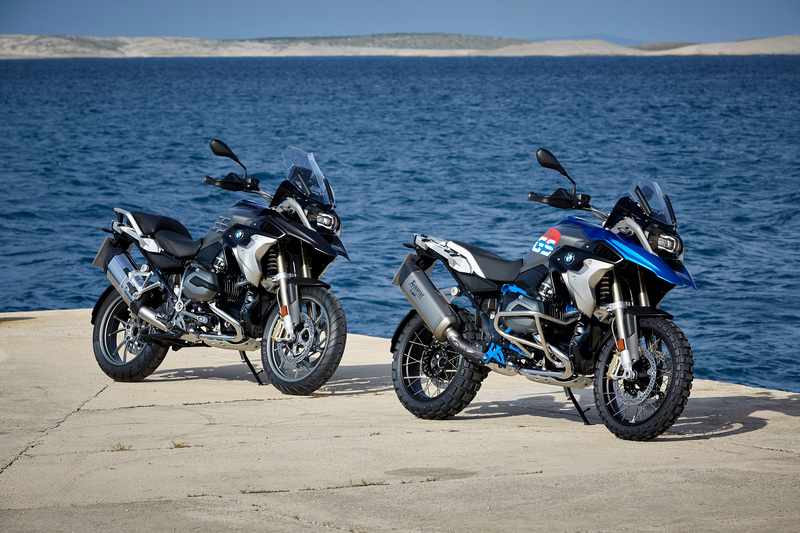 Although the power of the new R1200GS remained unchanged at 92 kW (125 PS) at 7750 min-1, a new catalytic converter was installed to adapt the data status in line with the EU4 requirements. The selector drum actuator and transmission shafts were improved and a judder damper on the transmission output shaft was installed. 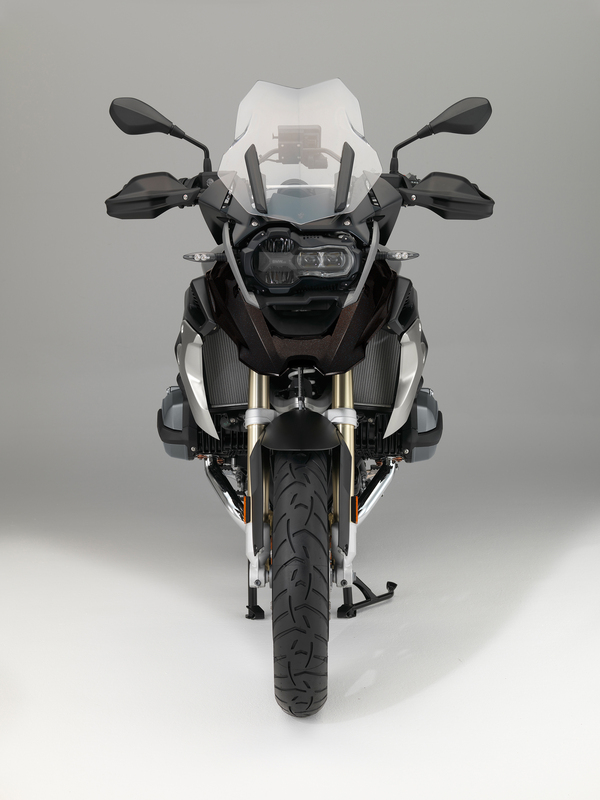 The new R1200GS Exclusive and Rallye models also received a new data status for the engine management. For optimum traction BMW offers the ASC system (Automatic Stability Control) with the two driving modes "Rain" and "Road" as standard. If desired, you can also purchase "Riding Modes Pro" with a selection of "Dynamic", "Dynamic Pro", "Enduro", "Enduro Pro" and DTC (Dynamic Traction Control). "Dynamic Pro" gives the driver a better possibility to personalize and customize the vehicle's character. The "Riding Modes Pro" also includes the set-off assistant Hill Start Control for convenient hill starts and ABS Pro for even more safety during braking. Also included in the optional equipment is the dynamic ESA "Next Generation" (Electronic Suspension Adjustment), which automatically adapts the damping to compensate all load states. 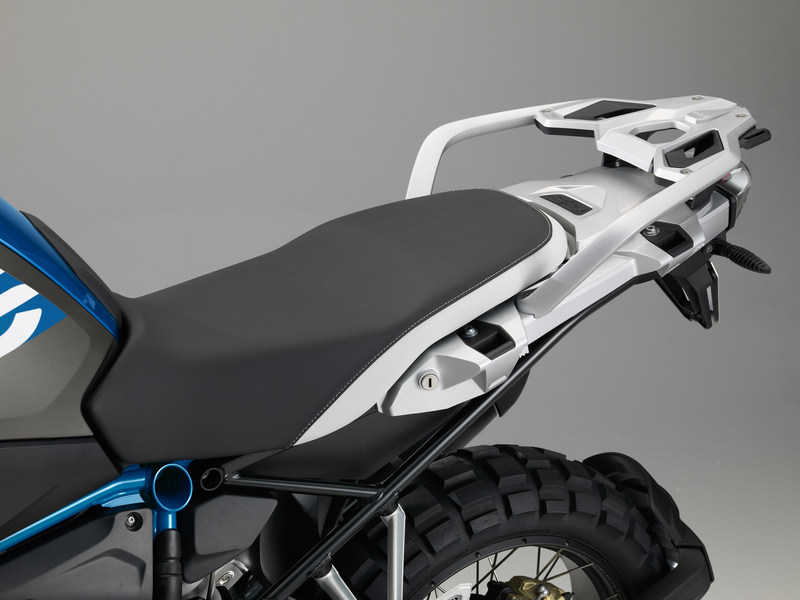 Cylinder crash bars, a top case and off-road protection parts, for example a cooler protection and a frame protection are available as special accessories. The Rallye models were equipped with an increased spring rate ("harder suspension"), longer spring struts and extended spring travel. Equipped with these features, the Rallye is the perfect vehicle for off-road enthusiasts. 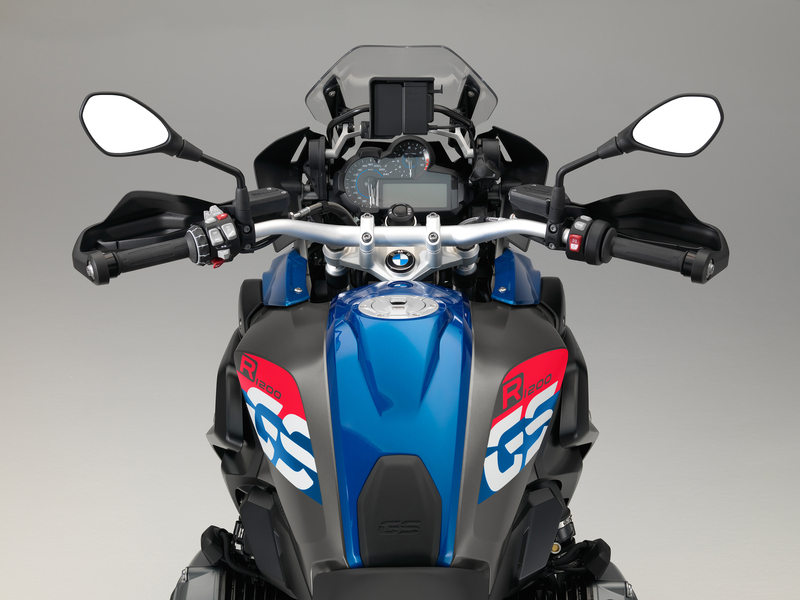 The basic design architecture of the predecessor models also remained for the new R1200GS. Ideal ergonomics in the knee area enable even better offroad qualities. The new GS also features winglets, new side fuel tank trim panels, new cooling air ducts and radiator trim elements (galvanised surface or stainless steel), hard contrasts and new colours. The Rallye emphasizes the offroad character in Lupine-blue metallic with the tank sides painted in BMW Motorsports colours and the frame in Cordoba blue. The Exclusive models present themselves with tank side panels painted in Monolith metallic matt. The front wheel splash guard and the central fuel tank cover are painted in the colour Iced Chocolate metallic. The frame was painted in Agate grey metallic matt and the brake calipers in gold. 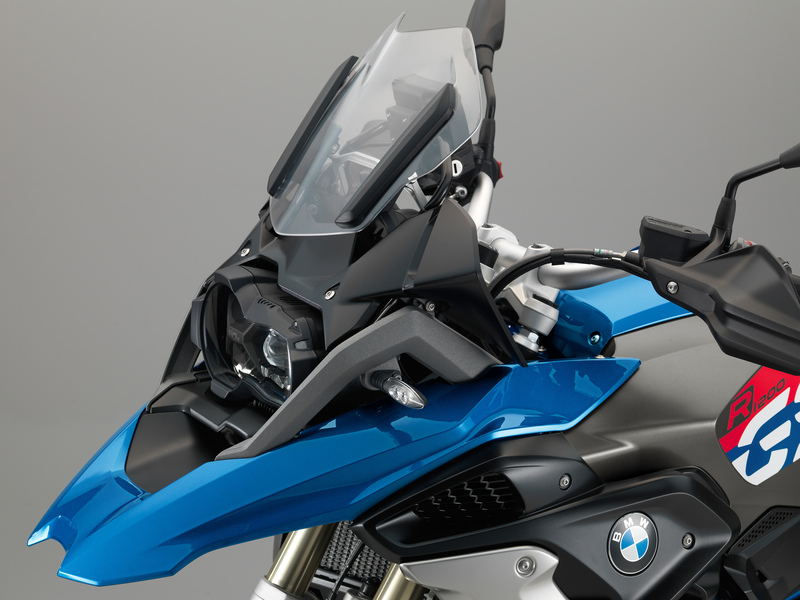 Here you can find all Hornig accessory products for your BMW R1200GS LC 2017.